Days away from joining the Senate's Republican majority, senator-elect Mitt Romney broadly criticized U.S. President Donald Trump's policies and character and said the president "has not risen to the mantle of the office." 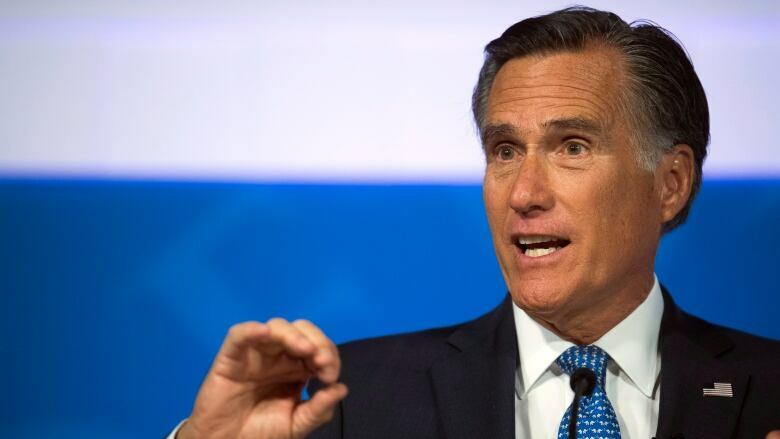 Days away from joining the Senate's Republican majority, senator-elect Mitt Romney broadly criticized U.S. President Donald Trump's policies and character and said that the president "has not risen to the mantle of the office." Romney's biting public assessment came as Trump and Senate Republicans faced a new governing dynamic. Republicans on Thursday will cede control of the House to Democrats, who seem prepared to oppose Trump on a number of policies and promised a slew of investigations into his actions and those of his aides and campaign officials, particularly with regard to Russia's election meddling. Trump responded to the criticism in a tweet early Wednesday. Here we go with Mitt Romney, but so fast! Question will be, is he a Flake? I hope not. Would much prefer that Mitt focus on Border Security and so many other things where he can be helpful. I won big, and he didn’t. He should be happy for all Republicans. Be a TEAM player &amp; WIN! 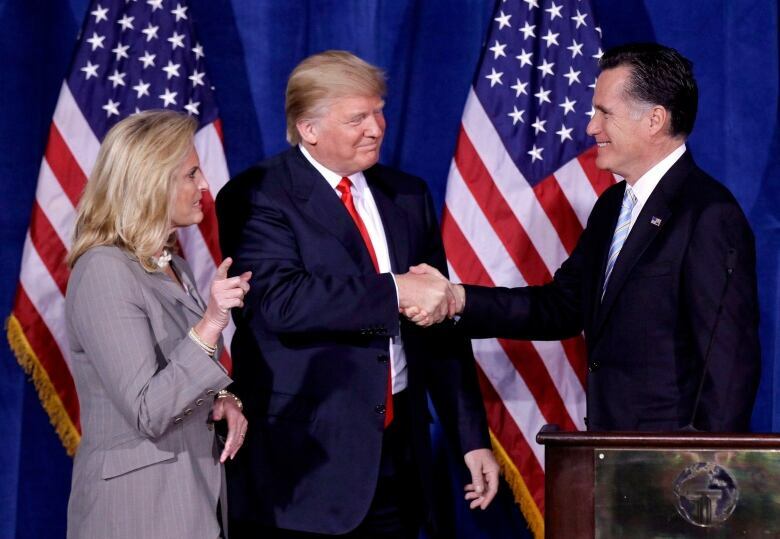 Romney, a former Massachusetts governor, had criticized Trump before — notably, in a March 2016 speech he called Trump a "fraud" and opposed his bid for the Republican nomination — but later he made peace with the president-elect and even expressed interest in joining his administration. He has also accepted Trump's endorsements twice — during his unsuccessful 2012 presidential campaign, and during his Senate race last year. Trump said during a cabinet meeting Wednesday that he was surprised by Romney's comments. "People are very upset with what he did," Trump said. He also referenced Romney's 2012 election loss to former president Barack Obama. Asked if he would endorse Trump for president in 2020, Romney said, "I'm going to wait and see what the alternatives are." "Jealously is a drink best served warm and Romney just proved it," Parscale wrote. "So sad, I wish everyone had the courage [Trump] had." In a conference call with reporters, Republican Sen. Rand Paul of Kentucky noted that the 2020 election hopes of many Republicans in the Senate and House will be tied to Trump. Paul said he disagrees with the president on some issues, but still treats him with respect. Republican National Committee chair Ronna McDaniel also criticized Romney on Twitter, calling his essay an "attack" on Trump that was "disappointing and unproductive." McDaniel is Romney's niece. In describing a "deep descent" by the Trump presidency in December, Romney cited the departures of Defence Secretary Jim Mattis and White House Chief of Staff John Kelly and what he called the appointment of people of lesser experience, the abandonment of allies, and Trump's "thoughtless claim that America has long been a 'sucker' in world affairs." Looking ahead, Romney wrote that he would act as he would with any president from either party in the White House, supporting policies he believes are in the best interest of the country and his state, and opposing those that are not. He said he didn't intend to comment on every tweet or fault.